Laura joined the OptiMA team in March 2011, shortly after OptiMA moved to its new headquarters in Shrewsbury. At the time, it was easy to see that OptiMA was growing, and that appealed to Laura. 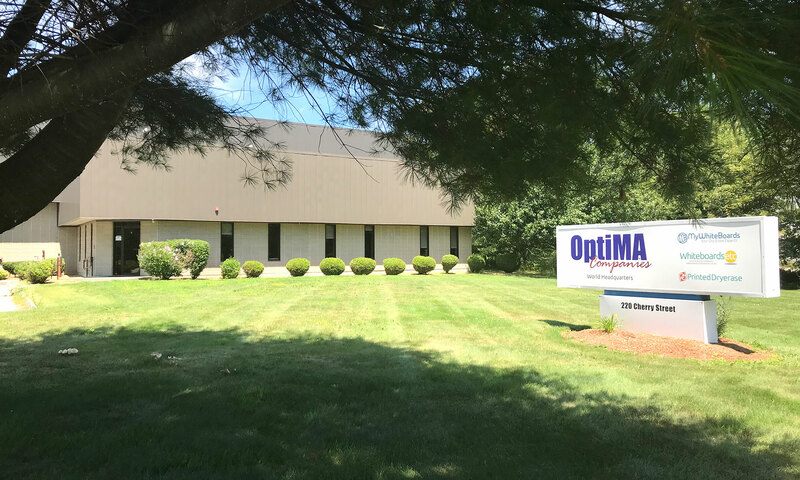 Laura takes pride in her ability to organize, plan and communicate; of course these qualities are proving useful as OptiMA and its team continues to grow. With the growing company Laura’s role has also grown to include much of the company’s human resource responsibilities. She values training to keep up with changes and trends as related to her position and for the company in general. She believes in being fiscally conservative as it enables OptiMA to take care of its employees with great benefits, it strengthens relationships with suppliers and positions the company for trustworthiness from their customers. Laura is still impressed seeing the personalized whiteboards that are produced downstairs from her office but the product closest to her heart is her Opti-Print wall calendar. 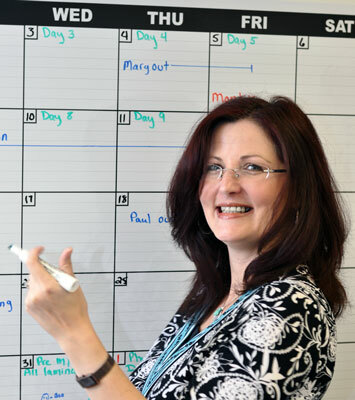 She uses her calendar to schedule monthly accounting tasks as well as tracking everyone’s vacation days etc. In her free time Laura loves getting away to her summer house in Maine where she enjoys relaxing with a good book and spending time with her family.